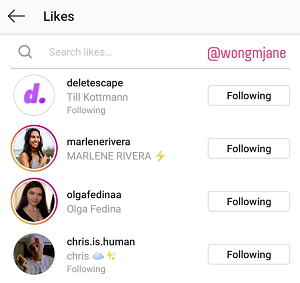 Social media code hacker Jane Manchun Wong is at it again, this time uncovering some new tools in development at Instagram which would enable you to sort your follower and following lists, along with a new karaoke-style music option for Stories. 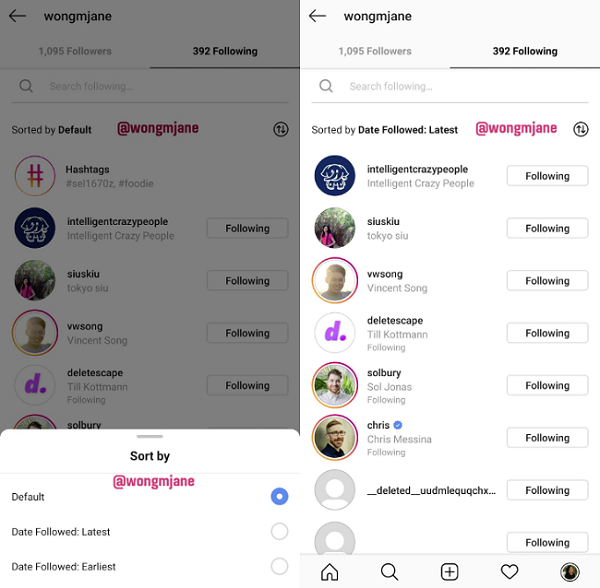 First off, Instagram’s testing out a new filter option in your ‘Followers’ and ‘Following’ lists which would enable you to sort the listing by most recent additions, or the opposite. The capacity could make it easier to locate your most long-serving brand supporters, which may provide new opportunities for connection. It would also make it easier to engage with your most recent additions, and track locations and details, which you could correlate with campaigns. Instagram’s also looking to add a new search bar for post likes on Android. The option already exists in iOS. And finally, Instagram is also a trying out a karaoke-esque music video with lyrics tool for Stories, adding to your music sharing options. Instagram has been looking to add more music sharing options into the mix, capitalizing on parent-company Facebook’s music rights deals, and providing more interactive capacity. And with the popularity of short-form video platform TikTok rising, largely based on music-inspired clips, it makes sense for Instagram to explore new options on this front. There’s no word on if and/or when these tools might get rolled out – at this stage, they are only in testing, hidden within the back-end code of the app. We’ll keep you updated on any official announcements.